The SAQA Benefit Auction starts today at 2:15 pm Eastern time and runs through October 2. The funds raised through the Auction are critical to supporting SAQA's exhibitions, catalogs and outreach programs. Each of the quilts in the auction has been donated by a SAQA member and is approximately one foot square. 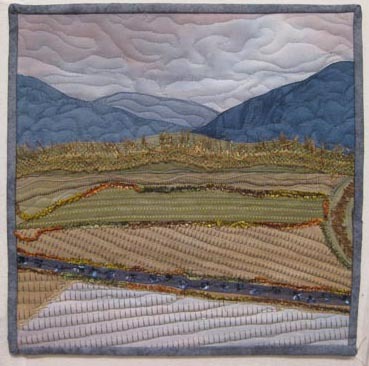 You can see some "Dream Collections" of the various quilts that have been compiled by SAQA members. The auction runs in three sections. On the first day of each section's auction, the price for each piece in that section is $750. The next day (at 2:00 Eastern), the price drops to $550. The third day, it drops to $350, then $250, then $150, and finally $75. Hope that you will consider participating!